Bubba Watson, 2012 Masters Champion and the man with the pink driver. One of the most thrilling moments in sports is an overtime playoff for a championship. So it goes at the 2012 Masters Tournament at Augusta National in Augusta, Georgia. 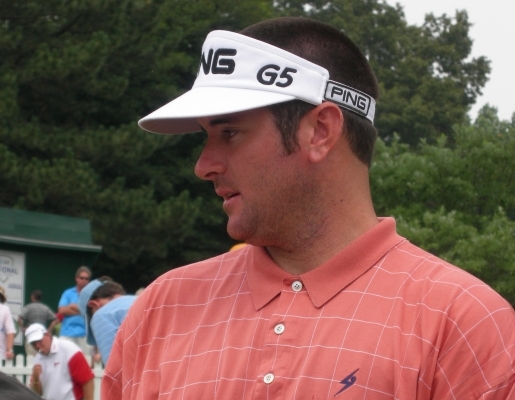 After the final round, 2010 British Open Champion Louis Oosthuizen of South Africa was tied with American Gerry “Bubba” Watson for the lead at the 76th Masters. Oosthuizen made it tough for Bubba, nailing a very rare double eagle on hole 2, but Watson would not be denied. Bubba Watson bested Louis Oosthuizen to claim the 2012 Masters Tournament title and take home his first career major. Watson’s win makes him the 14th different person to win the last 14 majors. That green jacket looks pretty sweet; just ask three-time champion Phil Mickelson.